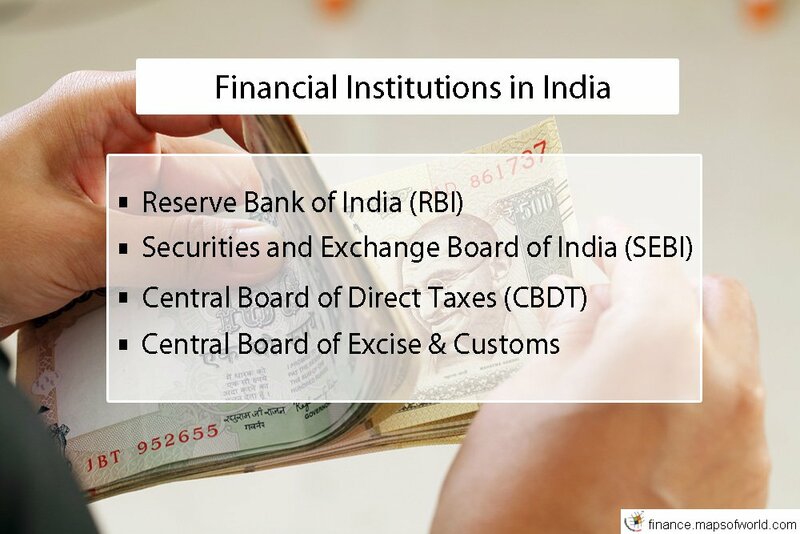 Financial Institutions in India are divided in two categories. The first type refers to the regulatory institutions and the second type refers to the intermediaries. The regulators are assigned with the job of governing all the divisions of the Indian financial system. These regulatory institutions are responsible for maintaining the transparency and the national interest in the operations of the institutions under their supervision. Apart from the Regulatory bodies, there are the Intermediaries that include the banking and non-banking financial institutions. The banking institutions of India play a major role in the economy of the country. The banking institutions are the providers of depository and transaction services. These activities are the major sources of creating money. The banking institutions are the major sources of providing loans and other credit facilities to the clients. that have been incorporated for a definite purpose. These institutions include the insurance companies, the housing finance companies, mutual funds, merchant banks, credit reporting and debt collection companies and many more. Apart from these, there are several other financial institutions that are existing in the country. These are the stock brokers and sub-brokers, portfolio managers, investment advisors, underwriters, foreign institutional investors and many more.